About seven years ago, our church asked for volunteers to be on the pastor search committee. Our pastor of twenty-seven years had announced his retirement, an interim was in place, and it was time to look for the new person to lead our church. My response to that invitation? Who would sign up for that? It sounds like the worst job ever. But God started whispering to my heart and then a woman I respect from our church urged me to volunteer. Since I was a relative newcomer, I was pretty sure I could volunteer and not be chosen. I thought I was safe. Obedience? Check! Being asked to join? Probably not. Win. Win. I wouldn’t have to do that wretched job. But then I was asked to be on the committee… Bummer. Pastor search committees are notoriously fraught with in-fighting and known for having criticism lobbed at them, so I braced myself for the worst. I thought it would be one of those times of testings that sometimes follows obedience. Serving on that committee was one of the best experiences of my Christian life. Surprised? I was shocked. It was an amazing journey mainly for one reason. I’ve never worked with a group of men and women with such mutual respect and love. There were four men and two women, and I always felt heard. The guys gave us equal opportunity to pray and weigh in with our thoughts. Truthfully, I’ve never experienced anything quite like it in the church world, but it proves that men and women working together for the Kingdom is both possible and beautiful. “The Lord is a warrior; the Lord is his name.” Exodus 15:3 Here’s an example of God being attributed with the warrior spirit embedded in the hearts of my brothers. That’s why I’m worried about the church world right now. It’s not my desire to debate titles or positions, but I believe that women’s voices are largely overlooked by the leadership in many churches. Some make light of the problem or deflect blame, but when women’s gifts aren’t maximized and their perspectives aren’t heard, we don’t get a view of the whole character of God. Part of His image is missing. That’s a huge problem. In our pastor search committee, I got to see what was possible when women are respected and their voices honored. Both genders brought their strengths to the table in amazing ways. From the very beginning, our committee decided that we wouldn’t recommend a pastoral candidate unless we were unanimous. Have you ever heard of such a thing? But God… we prayed, listened to God and listened to each other, and we were unanimous. Four men and two women had seats at the table, and the result was great love, an amazing working relationship and unity. What a beautiful display of God’s image! From the start, God has given me a ministry passion for deeper relationships, and I’m writing this because I long to see the relationships that I experienced between men and women on our committee replicated over and over and over again. Representing God’s image through the gifts of both male and female is a topic working talking about. Worth working for. Worth taking a stand on. Let’s lovingly use our voices to help others find the missing piece of God’s image in our world. Tell about a time when you’ve experienced men and women working together in unity. ps. Barry Carroll, my love, you make this truth happen in our home, and I love you forever. I hope others see God in the way we work together. I don’t know if they’ll see this, but a huge shout out to Tony, Tim, Mark and Jim. You four guys, my partners in the pastor search, are exemplary and some of my heroes. Just thought you should know. 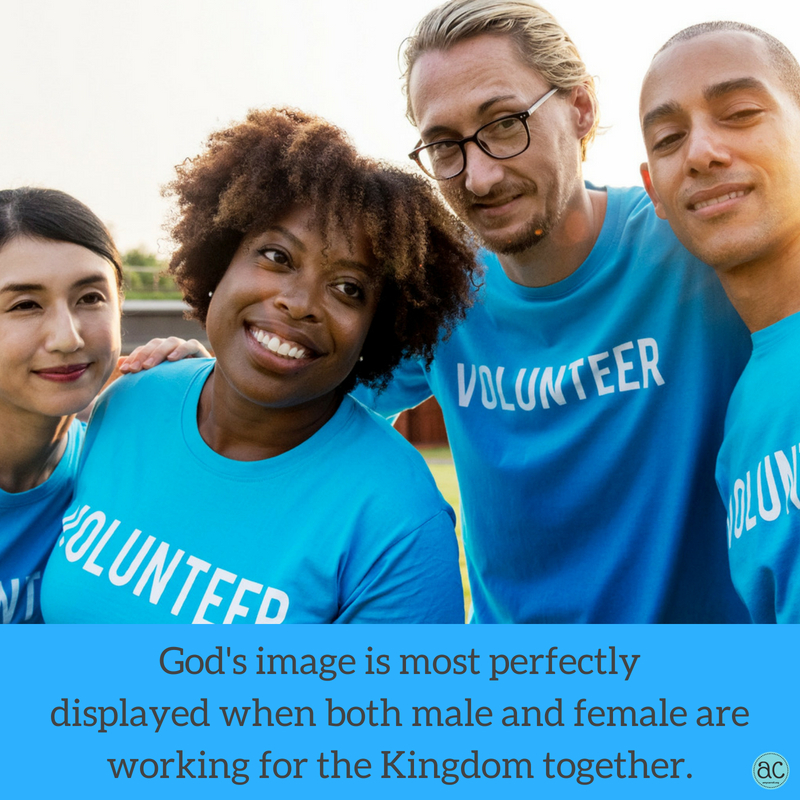 Beautiful post on how both genders represent GOD and neither can display the complete qualities of God without the other. Very encouraging to know you had a beautiful experience with the pastor search committee. It renews the hope that all things are possible in this broken world when God’s sons and daughters reflect Him. Dear Amy I only have one word to say and that is AMEN. Have a wonderful day. Love all of your posts. Another huge shoutout to the other woman on the committee! Yes, indeed! I didn’t mention Rey because she hasn’t read my post yet (although I know she had a great experience too), but she is a friend and a strong mentor. Thanks for giving me space to add kudos to her!! All of your pieces are leaving me especially tingly and touched lately. Thank you!!!! I’m writing scared, friend! You know me well enough that you know I’d be more comfortable with safe and nice. God is stoking my passion, though, so I’m just holding on to Him for dear life. Ironically I am a committee as I write this, at our church about updating our facilities. It could potentially be a large financial project. 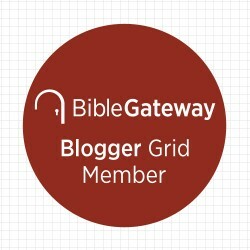 I had hoped that I would be asked to be on one of the committees involving updating facilities and/or programs in the church – looking for ways to invite people into the fellowship to experience God. Our mission statement includes “to be the hands and feet of Christ” and obviously, I want our facilities and programs to be inviting to unchurched people so that we can be the hands and feet of Christ. I am only one of 2 women on the committee of 7. We have only had 3 meetings but we are moving fast and the internal committee of 7, along with the team from the consulting firm (comprised of 2 men and 2 women – architects and interior designers included – all Christian) really want to hear what I have to say. I feel a part of the team for input and not just for the sake of having a female on the team. What great words you shared today. Thank you. Deanna, I’m so glad you’re having that experience. Great relationships with our brothers are sure to build our confidence. I’m not sure if they realize how much they can be part of our stepping up into God’s calling. Men and women can be such a blessing to each other when we work together! Thank you this has blessed me. I’m so glad the post today encouraged you!